About a week ago, I was milling around Whole Foods on my lunch break looking for delicious treats. I came across a bin full of acorn squash and made the decision to buy one. I’d never prepared acorn squash before, but I was in an adventurous mood. Plus it had been a while since I’d ventured out of my vegetable comfort zone. Yesterday, I decided to do some recipe research, and I came across a wonderful looking one for acorn squash on Elana’s Pantry. The recipe called for apples, cinnamon, and dried cranberries, and I added some bacon to compliment the sweetness of the apples. Preheat the oven to 350. Slice the squash lengthwise and scoop out the seeds. 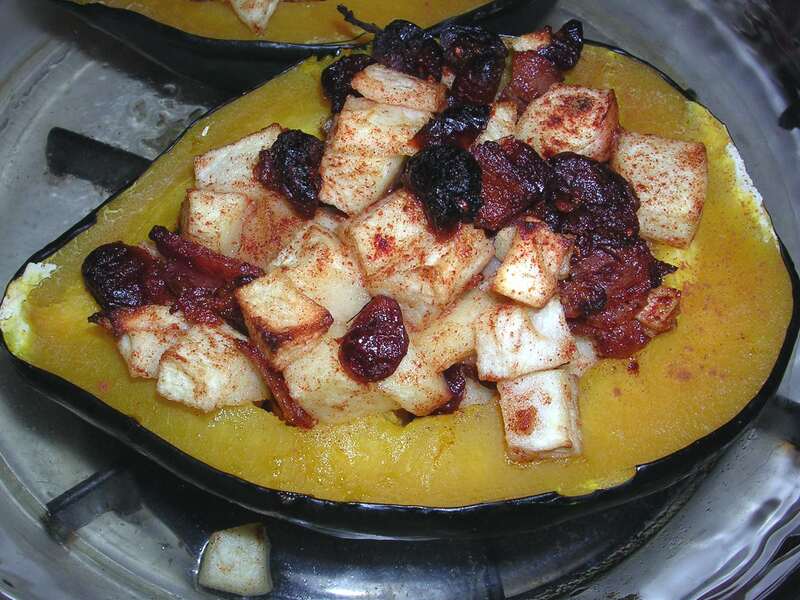 Place the squash, cut side down, into a baking dish with 1/4 inch of water. Bake for about 30 minutes. While the squash is baking, peel and slice an apple into 1/4 inch pieces. Fry the bacon and chop into bits. Mix the apples, cranberries, bacon, cinnamon and coconut oil in a bowl. Once the squash is finished baking, flip it over and fill with the apple mixture. Sprinkle some additional cinnamon on top and bake for another 30-35 minutes. 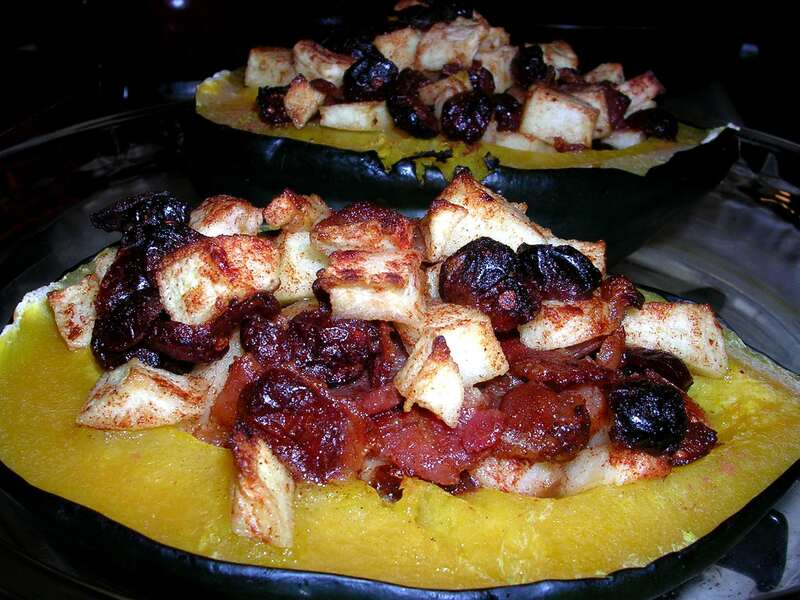 Acorn squash is my FAVORITE squash and I love stuffing it! Yours turned out gorgeous! Beautiful 🙂 The peanut flour rocks -its kind of like PB2 for baking. The cookies taste like peanut butter cookies. I highly recommend it! You live in Boston? Where abouts. I am from the area originally. Thanks! Peanut butter cookies are my weakness…so good! I actually live in Medford, but I work in downtown Boston! Where are you from?